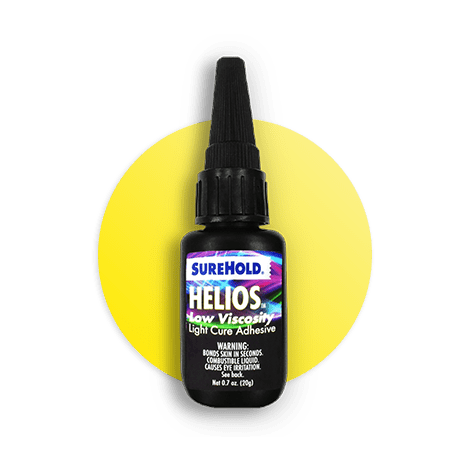 Helios Light Cure is a fast curing, low odor, low blooming, varied viscosity adhesive. The light cure properties facilitate rapid curing of exposed surface areas, thereby minimizing assembly time. The unique formulation reduces blooming during the secondary cure providing an alternative to solvent borne accelerators. 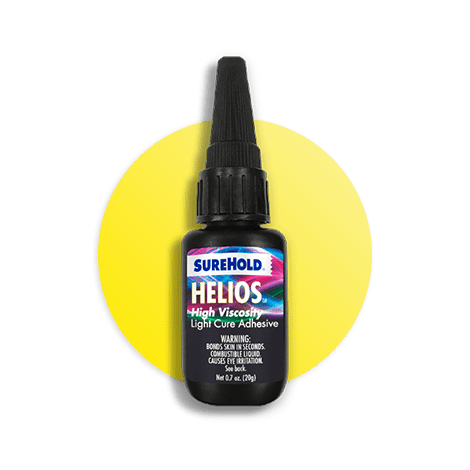 Suitable for use in the assembly of sensitive electronics, craft and hobby projects, and home and automotive repairs. 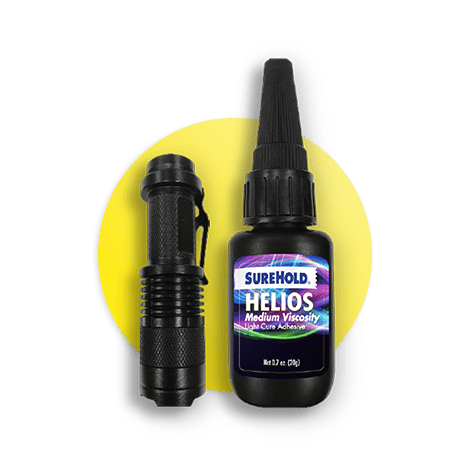 May come with UV flashlight (battery not included).